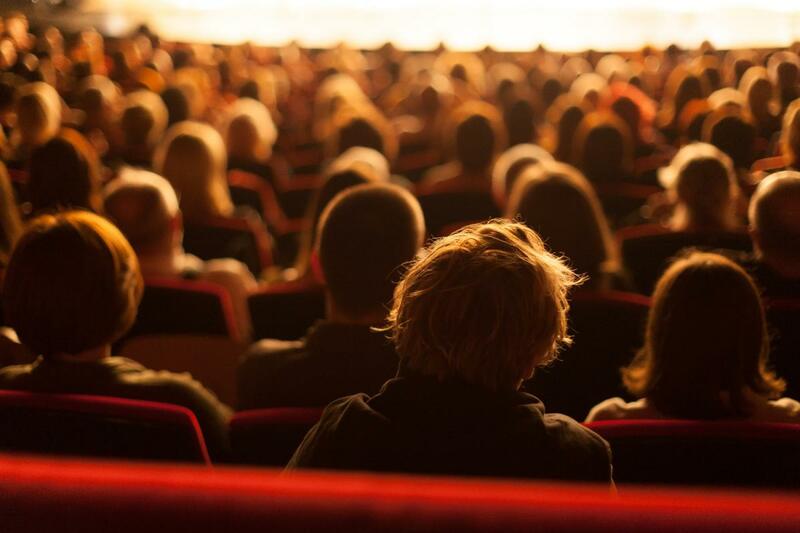 No matter the season, there seems to always be good reason to head to Ruth Eckerd Hall whether it's to catch a concert, take in a touring production of a Broadway show, enjoy improvisational comedy, or applaud a favorite dance company. The performing arts center continues to delight generations of audiences by hosting classical music to classic rock performances, ladies who make us laugh, and fellows who are, admittedly, weird, as well as various productions featuring magicians, musical icons like Motown legend Diana Ross, and multi-talented performers like John Legend. The current calendar of upcoming events is no different. Of course, to each their own, and what might be a must-see to some may be more of a take-a-pass to others. Here are a few highlights offering a range of upcoming cultural events that are made all the more enjoyable due to the nature of the rather intimate, and very inviting, 2,180-seat auditorium that is the centerpiece of this Clearwater venue. The six-time Emmy winner last appeared in Clearwater was in 2011. As the star of The Carol Burnett Show, which remains the longest running musical comedy variety show in television history, it's unlikely that any question will leave this quick-witted comedic talent at a loss for words, or laughs. Canadian singer-songwriter Sarah McLachlan was at the forefront of helping women be heard long before the Me Too Movement encouraged speaking out against sexual violence. McLachlan helped women do something that had not been done before in the music industry: headline a major music festival. The multi-platinum, multi-Grammy award-winning artist heads to Clearwater in 2019. McLachlan founded the Lilith Fair Tour, which was said to be among the most successful all-female musical festivals in history, one of the biggest musical festivals in the 1990s, and helped launch the careers of several well-known female artists. An accomplished musician, she plays the piano, guitar and ukulele. No one-and-done for this musical force. John Mellencamp wraps up his 2019 two-month tour that marks the upcoming release of a slew of new songs when he performs, not one, but two nights. Described as an “American Poet,” this hard-rocking singer and popular songwriter will take audiences on a musical journey featuring both old and new songs beginning promptly at 8 p.m. without any opening act. Plus, audience members purchasing tickets online will receive a physical copy of his forthcoming Other People’s Stuff album. When it comes to parodies, few have mocked pop culture as memorably, or musically, as “Weird Al” Yankovic. Whether performing polkas or popular songs, this singer-songwriter, record producer, satirist, film producer, and author of two children’s books proves that the path to success can go in many different directions. To date, he has amassed four Grammy awards, four gold records, and six platinum records. When he prepares to perform in Clearwater in 2019, he'll be bringing his usual array of props, costumes, and a video wall that define his shows as well as his band, background singers, and the flourish of a full symphony orchestra. Whatever your entertainment preferences, one of these shows coming to Clearwater's Ruth Eckerd Hall in 2019 is bound to be of interest. Find more events in Clearwater by registering on 727area, your free local guide to everything going on in the St. Petersburg and Clearwater area.